A conservative, bible believing perspective! God's providence gave us the 27 book New Testament Canon, not the church. God, not men decided the canon. This providence does not mean that church leaders were inspired in their selecting the canon, only that God had his eye on the scriptures the whole time and brought about His will to form the Bible we see today! The following ancient sources are those most often cited by modern scholars investi- gating the origins and development of the Old/First Testament or Hebrew Bible. This list is not exhaustive, but the items listed are centrally important; any conclusions regarding the origins and development of the Old Testament canon must take account of them. l. Ezra 9-10 and Neh 8-9: the reading of the law of Moses, and writings that were authoritative in the fifth century B.C.E. Sir 49:8-10: Ezekiel, Job, and the Twelve Prophets. See also the context in Sir 44:1-50:25, the "praise of famous men." Is the focus in this passage on sacred literature or holy men? Prologue to Sirach: three groupings of sacred literature. The third group is imprecise, and none of the literature within the groupings is specifically identified. 1 Macc 1:54-57: the destruction of the Jewish sacred writings under the Seleucid tyranny. 2 Macc 2:13-15: Judas Maccabeus's recovery and collection of Jewish sacred writings. The identity of these writings is not clear. 4QMMT: see 6ab-28b, but especially C 9-12 (perhaps ca. 150 B.C.E.). This is a very difficult text to discern because of its corruption, but it does describe three or four vague groupings of sacred writings. Ep. Arist. §308-311 (ca. 110-100 B.C.E. 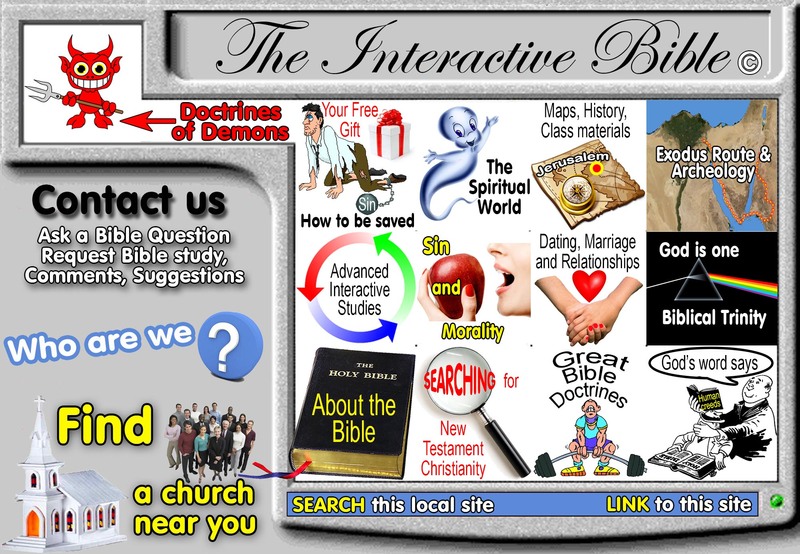 ): the origins of the LXX. Only the law of Moses is mentioned in this tradition. Philo, Contempl. 3.25-28 and Mos. 2.37-40: three or four categories of sacred writings among the Therapeutae (probably Essenes) in Egypt roughly just before the ministry of Jesus. Luke 11:49-51: Jesus' reference to the martyrs in the OT beginning with the first (Abel) and concluding with the last (Zechariah). Was 2 Chronicles the last book in the OT in Jesus' canon (see 2 Chr 24:2-24) or simply the last martyr mentioned in the OT scripture? Does this passage suggest a closed biblical canon in the time of Jesus that began with Genesis and closed with the last book in the Writings (Ketubim), namely, 2 Chronicles? This is highly unlikely due to the place of 2 Chronicles in several manuscripts, especially in the Aleppo texts, and due to the repetition of the closing verses of 2 Chronicles in Ezra 1 (which shows that Ezra was written after 2 Chronicles). Luke 24:44: a reference by Jesus to the Law, Prophets, and "psalms." Does "psalms" refer to the whole of the Writings, or does it refer only to the book of Psalms, or simply to some of the psalms? Did the later term "fifths" (Heb. = homasin), which was used by the rabbinic sages of the second century C.E. of the book of Psalms and also of all of the Writings, refer to the whole of the Writings in the time of Jesus? Were the "psalms" equal to the later designated Writings? Jub. 2:23-24 as cited by Epiphanius, Mens. 22 (ca. 380 C.E.). Is this the original form of the text, or is it the Qumran or Ethiopic version of the text? Did the original form refer to a twenty-two book biblical canon? Josephus, C. Ap. 1.37--43 (ca. 90 C.E. ), mentions a three-part, twenty-two book biblical canon. Are the books in each of the three categories of his list identifiable and are they the same as the later and more clearly defined collection called the Tanak (an acronym for Torah, Nebi'im, Ketubim)? Also on prophecy, see C. Ap. 1.8.41; Ant. 13, 311-13; B.J. 6, 286; 6, 300-309. Did Josephus believe that all prophecy had ceased from the time of Artaxerxes and therefore all Scripture or prophetic writing ended by ca. 400 B.C.E.? Did he view his writings as "inspired"? 4 Ezra 14.22-48 (ca 90-100 C.E. ), describes the divine translation of ninety-four holy books-twenty-four plus seventy others. This is probably a reference to the sacredness of the apocryphal and pseudepigraphal literature besides a twenty-four book collection of Hebrew Scriptures. Why would many of the early Christians include this book (4 Ezra) in their sacred collections? Mishnah, completed under the direction of Rabbi Judah Ha-Nasi (ca. 200-210 C. E.). 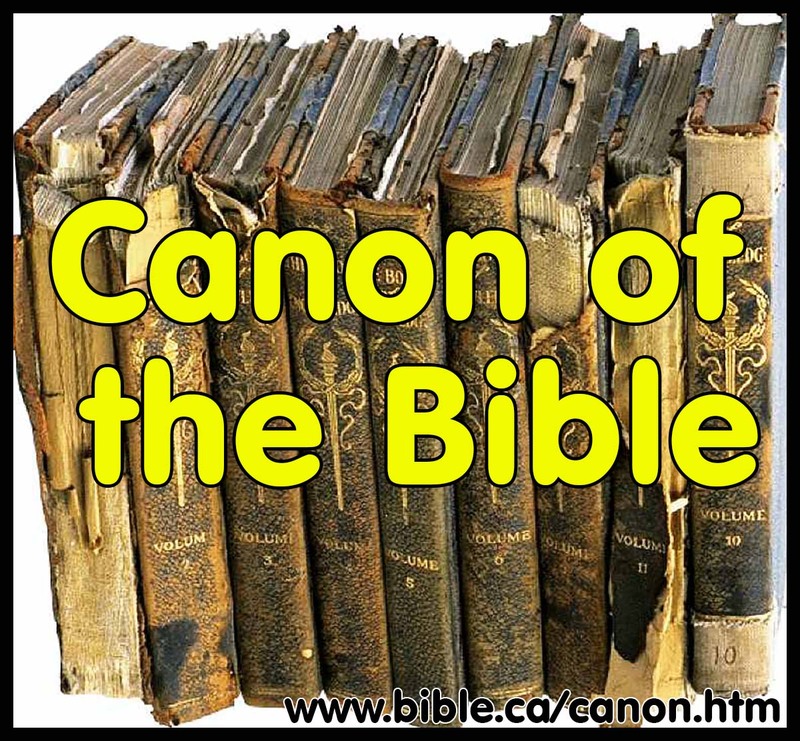 There is not much focus on a biblical canon and very few references to the Hebrew scriptures. See m. Yad. 3.2-5 and 4.6 on which books "defile the hands." b. B. Bat. 14b-15a (ca. middle to late second century C.E.). This is the first reference in Judaism that specifically lists by name the twenty-four books of the Hebrew Bible in three distinct categories. It is not clear how representative this list was of mainstream Judaism at that time. Several references in the rabbinic literature indicate a conflict over the place of some books in their sacred collection. On Song of Songs, see m. Yad. 3.5 and b. Meg. 7a; on Ecclesiastes see m. Yad. 3.5 and b. Shabb. 100a; on Ruth see b. Meg. 7a; on Esther see b. San. 100a and b. Meg. 7a; on Proverbs see b. Shabb. 30b; on Ezekiel see b. Shabb. 13b, Hag. 13a and Men. 45a. a. Justin, Dial. 100.1ff. ; 1 Apol. 28.1 and 67.3; Cohort. Graec. 13 (pseudo-Justin?). b. Melito's list of OT scriptures, see Eusebius, Hist. eccl. 4.26.12-14.
c. Irenaeus, Haer. 2.27.2; 3.3.3; 3.11.8; 3.12.15; 3.14.1-15.1; 3.21.3-4; 3.17.4. See also Eusebius' reference to the biblical canon of Irenaeus in H. E. 5.8.1.
d. Clement of Alexandria, Strom. 7.20. In Hist. eccl. 6.13.4-8 and 6.14.5-7, Eusebius gives what he claims is Clement's scriptural canon. e. Origen, Ep. Aft. 13 (cf. Julius Africanus, Hist. Sus.). Eusebius, Hist. eccl. 6.25.3-14, indi-cates that Origen added the books of the Maccabees (as "outside books") to the Hebrew Bible that he knew from contacts with Jews in the third century C.E. On his NT, see Eusebius, Hist. eccl. 6.25.3-14.
f. Tertullian, Marc. 4.2.2,5; Prax. 15; and Praescr. 32, 36. On Marcion's view of the law and what he did to Luke's Gospel, see Marc. 1.29; 4.2; and 5.18.1; Praescr. 38.7; Cult. fern. 1.3.
g. Eusebius, Hist. eccl. 3.3.1-5; 3.25.1-7, for his own biblical canon, and compare with 5.8.1; 6.14.; 6.24-25; 7.25.22-27.
h. Jerome, Prologus in Jeremiam, In libros Salornonis (Chromatio et Heliodoro), In Danielem prophetam, In Ezram, In librum Tobiae, In librum Judith, Commentaria in Isaiae prophetiam 3.6.
i. Other church fathers referring to the Old Testament Scriptures in the 4th-5th centuries include: Athanasius, Ep. fest. 39; Cyril, Catech. 4.33-36; Rufinus, Symb. 38; Epiphanius, Pond. 22-23, Pan. 8.6.1ff. ; Hilary of Poitiers, Prologus in libros Psalmorum 15; Augustine, Doct. chr. 2.13. Canonical lists of the fourth and fifth centuries from both the East and the West (see lists below as well as those in Bruce, Hahneman, Metzger, and Sundberg). Cairo Geniza. A careful reading of selected texts from this collection of recovered documents in Egypt indicates that several writings were deemed sacred among the Jews in Cairo in the eighth and ninth centuries C.E. and considerably earlier in some instances. Non-sacred writings were also included in this collection because they contained sacred names and therefore caution is needed in any evaluation of their status within that community. Canonical "glue" texts, that is, texts that united portions of the OT literature together. Some of the more important texts include: Deut 34:1-12; 2 Chron 36:22-23; Ezra 1:1-4; and Mal. 4:4-6. When were these passages added to tie the larger sections of the OT together? The following ancient sources are those most often cited by modern scholars investigating the origins and development of the New/Second Testament. Again, this list is not exhaustive, but the items listed are centrally important; any conclusions regarding the origins and development of the New Testament canon must take account of them. Apostolic Fathers (writers who, for the most part, followed the writers of the NT). Passages that show use of NT literature and in some cases recognition of the authority of those writings: (1) 1 Clem. 13.1-3; (2) Barn. 4.14; (3) Ign. Phld. 5.1-2; 8:2; (4) Poly. Phil. 2.2-3; 3.2; 6.3; 7.1-2; 8.2; 12.1; (5) 2 Clem. 2.4-6; 14.2. Reference to the authority of Jesus' words in early gnostic teaching (Ptolemy, Flor. 3.5-8; 4.1, 4; 7.5, 10). Justin's use of NT writings to support Christian teaching and worship (Justin, Dial. 28.1; 65.2; 84.4; 100.1-8; 1 Apol. 66, 67). Writings that mention Marcion's limited collection of NT scriptures Marcion (Marcionite Gospel Prologues; Tertullian, Marc. 4.2-5; Adamantius, Dial. 2.18; Eusebius, Hist. eccl. 6.12.3-6). Irenaeus on heresies and the use of scripture (Haer. 1.26.2; 2.27.2; 2.28.2; 2.35.4; 3.2.2; 3.3.1-3; 3.4.1-2; 3.11.8-9; 3.14.1; 3.15.1; 3.17.4; 4.15.2; 4.29-34). Origen's awareness of NT literature (Comm. Matt. 15.3, which shows a Marcionite use of Matthew, and Hom. Jes. Nav. 7; and see also Princ.). Discussion of scripture, tradition, and authority in the church (Clement of Alexandria, Strom. 1.20, on the value of philosophy for understanding God's truth; see also 7.16). Gnostic beliefs and errors (see Irenaeus, Haer., all of book 1, but also 3.3.1). Peter's reference to Paul's writings as scripture (2 Pet 3:15-16). Reference to Paul in scripture-like manner to argue his case in Athenagoras, Res. 18 (see also 7-8), ca. 180 C.E. Tertullian's discussion of Marcion's editing of Luke and Paul (Marc. 1.29; 4.2; 5.18.1; 5.21; and Praescr. 32, 36, 38.4-7; Prax. 15). Sources that may refer to earlier collections of scriptures in the second century (Hippolytus, Haer. 8.19.1). Discussion of the burning of sacred books during the Diocletianic persecution (303 C.E.) in Gesta apud Zenophilum and Acta Saturnini 18. Passages in Eusebius that list or discuss Christian writings: (1) his own perspective (Hist. eccl. 3.3.1-5; 3.25.1-7); (2) Papias' preference for oral sources over written sources (3.39.4); (3) Martyrs of Lyons and Vienna (5.1.3-63); (4) the Montanists (5.14-19); (5) on persecution and burning of sacred books (8.5-6); (6) on Irenaeus's NT canon and LXX collection (5.8.1-15); (7) on Origen's OT and NT canon (6.24-25); see also Rufinus'translation of Hom. Jes. Nau 7; (8) on Clement of Alexandria's collection of divine names (6.13.4-8; 6.14.1-24); (9) on why Serapion rejected the Gospel of Peter (6.12.1-6); (10) Dionysius's perspective on scripture (7.25.22-27); (11) on Constantine's role in the churches and his ordering of fifty copies of scriptures (VC. 2.2-4, 34-3, 65, 68). a. Epiphanius, Haer. 5 and 76; Mens. f. Jerome: Prologus galeatus; Epist. 50 ad Paulinum; Commentaria in Matthaeum; Epistola ad Dardanum 2; De viris illustribus 5-10, 15, 17, 36, 41, 63, 81, 135.
a. Eusebius, Hist. eccl. 3.25.1-7 (ca. 303-325) from Palestine/Western Syria. b. Catalogue in Codex Claramontanus (ca. 303-367) from Alexandria/Egypt. c. Cyril of Jerusalem, Catechetical Lectures 4.33 (ca. 350) from Palestine. d. Muratorian Catalogue (ca. 350-75) from the East. e. Athanasius, Ep. fest. 39 (367) from Alexandria, Egypt. f. Mommsen Catalogue (365-90) from Northern Africa. g. Epiphanius, Pan. 76.5 (374-77) from Palestine/Western Syria. h. Apostolic Canons (ca. 380) from Palestine/Western Syria. i. Gregory of Nazianzus, Carmen de veris scripturae libris 12.31 (383-90) from Asia Minor. j. African Canons (ca. 393-419) from Northern Africa. k. Jerome, Epist. 53 (ca. 394) from Palestine. l. Augustine, Doct. chr. 2.8.12 (ca. 396-97) from Northern Africa (see also 2.3.1). m. Amphilochius, Iambi ad Seleucum 289-319 (ca. 396) from Asia Minor. n. Rufinus, Commentary on the Apostles' Creed 36 (ca. 400) from Rome/Italy. o. Pope Innocent, Letter to Exsuperius, Bishop of Toulouse (ca 405) from Rome/Italy. p. Syrian catalogue of St. Catherine's (ca. 400) from Eastern Syria. · Codex Vaticanus (ca. 331-350) from Alexandria/Egypt. · Codex Sinaiticus (ca. 331-350) from Alexandria/Egypt. · Codex Alexandrinus (ca. 425) from Asia Minor. · Syriac Peshitta (ca. 400) from Eastern Syria.